Responsible for The Design Gym’s Public Education, Timothy oversees public-facing programming, including workshops, crash courses, bootcamps, and other learning opportunities. 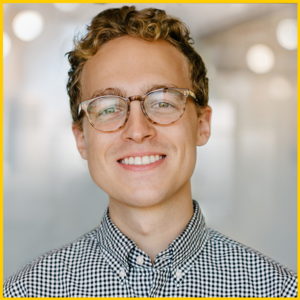 He carries with him extensive facilitation and program management experience he obtained through his work with the d.school at Stanford University, The Hive at the Claremont Colleges, JMU X-Labs at James Madison University and The Harrisonburg Printer’s Museum. Timothy tends to play many keys both in his professional and personal life. Apart from his work at The Design Gym, he likes to play guitar and harmonica (simultaneously), rock climb and design furniture.